English Test For Job Interview - Test your employee's English proficiency. Instructions: This full English test was designed for job interviewers to evaluate their employees' English proficiency. There are 2 sections in this test - listening and reading. Total questions of the test are 100 questions. 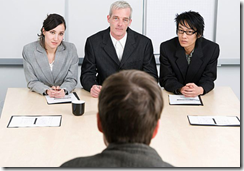 After the test, job interviewer may know how good a candidate's English is. This test may take few seconds to load. Please wait.